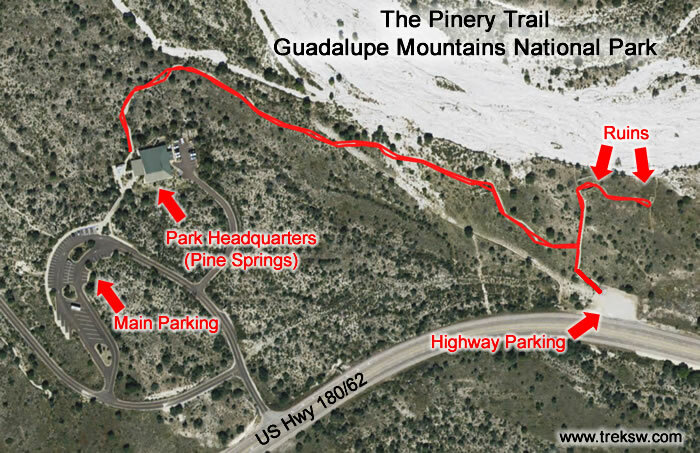 The Pinery Trail in Guadalupe Mountains National Park is a short, self guided, interpretive trail starting at park headquarters. This trail is wheelchair accessible, allows dogs (on a leash), and is also great for very young kids. Even if you’re a serious hiker than can knock down the most difficult trails without breaking a sweat, this is a great trail to hike if you’re unfamiliar with this part of the Chihuahuan Desert. Getting familiar with the environment you’re exploring will make that big hike you have planned that much more rewarding.